I hope I’ve identified this correctly, but if I can trust my memory and the map I believe these are the remains of a chambered cairn between Ballynaughton and Achnacarrarian. Also visible in the distance are the ruins of Dunyvaig Castle. 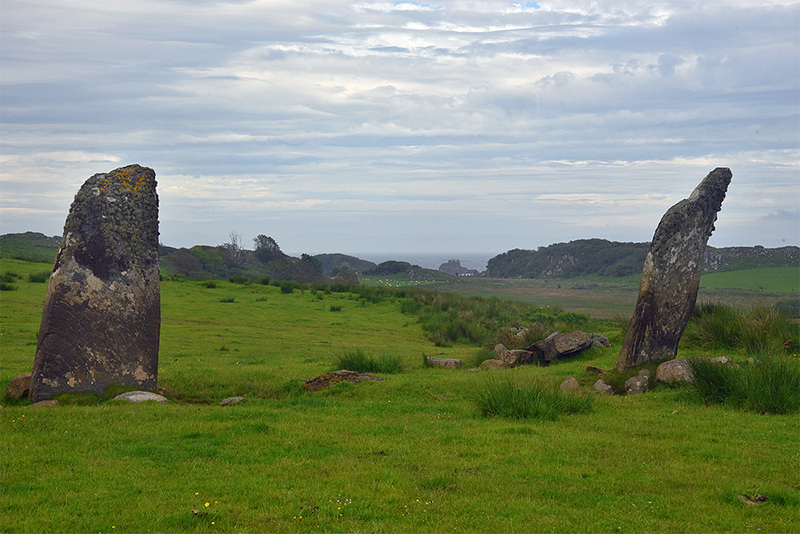 This entry was posted in Cloudy Weather, Landscape, New Post and tagged chambered cairn, Dunyvaig Castle, Islay by Armin Grewe. Bookmark the permalink.